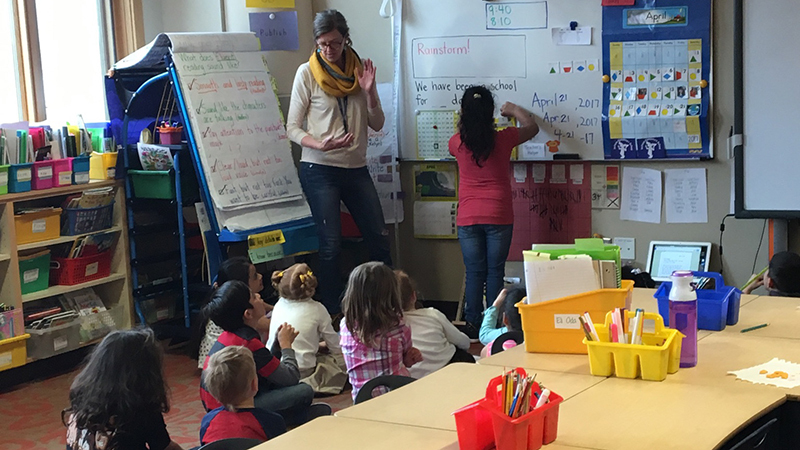 On Friday, April 26, Natrona County School District (NCSD) will offer morning and afternoon tours of their ESL and DLI Programs as a pre-conference feature. Please note: NCSD DLI programs follow a one way model and are primarily made up of English speaking students learning in a target language: Spanish or Mandarin. Program tours have limited spots and will be scheduled on a first come first serve basis when you complete your conference registration. NCSD will try to accommodate preferences for tours (AM/PM) but may not be able to honor all requests. The deadline to register for school tours is Friday, April 12, 2019. Participants will be notified of the school tour time and location the week of April 15, 2019. Please contact Kim Jones at kim811@myncsd.org for further information. See below for tour location information. Facilties Featured: Lincoln Elementary, Centennial Middle School, & Kelly Walsh High School. Facilties Featured: Evansville Elementary (ESL), Park Elementary (1-way Spanish DLI), & Paradise Valley Elementary (1-way Mandarin DLI).